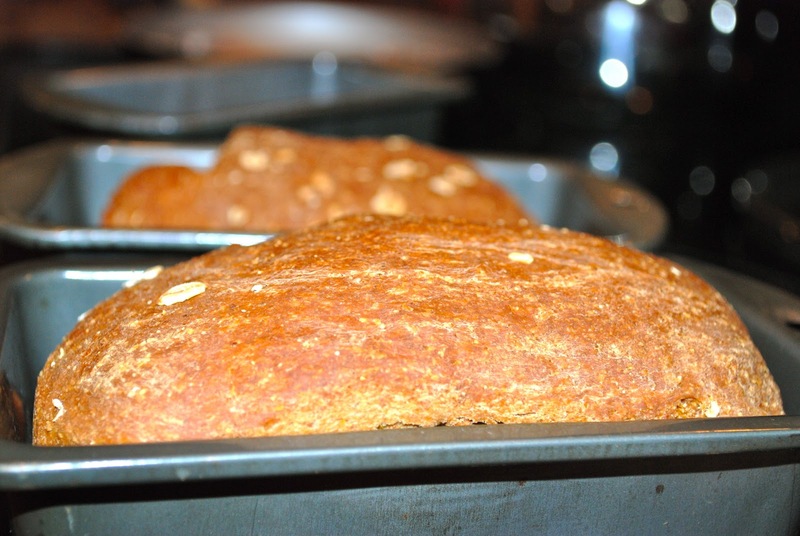 There is nothing, I repeat, nothing, that smells better than freshly baked bread. There is also nothing that tastes worse than the limp, plasticky loaves of double packaged grocery store bread that have been sitting on a shelf for at least thirty days. I wonder, if one ate enough grocery shelf bread, could one live forever, like those loaves do? Okay, maybe I’m being a bit unfair. I recognize the fact that most people lead far more important lives than I do and have far less time to lie in bed reading War and Peace bake fresh bread every day. But, thanks to modern conveniences, I am here to tell you that having fresh home made bread need not be luxury, and it can be readily available. Unless you live in the Mid-south area and would like me to bake your bread for you, which I would be more than happy to do!! Really. Ask me! There, I said it. Because creating sandwich bread dough (artisan loaves are a bit different, though still incredibly easy to prepare…more on that later) takes about thirty seconds, you can EASILY make three or four or more batches of dough AT ONCE, let them rise in separate bowls, bake in the oven, and then freeze the leftovers—or donate them to your lovely extended family, neighbors, strangers, et cetera. In your food processor, combine the flours, cornmeal, yeast, and salt. Turn the machine on. While running, slowly add the molasses, oil, and yogurt or kefir. Process until the mixture turns into a ball. Add the remaining milk and let the dough process two or three more times until the milk is evenly distributed. Remove the lid and transfer to a large bowl that you’ve oiled with canola oil. Cover and let rise for two hours. At this point, you can repeat the aforementioned steps up to three more times, creating four balls of dough. Let them each rise in a separate oiled bowl. After two hours, punch down the dough(s) and fold in the dried apple pieces. Shape into a ball and let rest on a cutting board, covered, for fifteen minutes. After fifteen minutes, use the heel of your hand to press the dough into a rectangle. Transfer each dough to a separate loaf pan. Cover and let rise for one hour. If using one or two batches, heat your oven to 350 degrees. If using three or four, heat your oven to 375 degrees. Bake for forty five minutes. The dough should be crusty but hollow-sounding when tested. Your house will smell amazing. Invite guest over and serve them steaming hot slices of bread with butter, marmalade, goat cheese, and coffee and tea. If you have extra loaves, freeze them, wrapped tightly in plastic wrap and foil and in a plastic bag, for up to six months. Store your fresh loaves in parchment paper, not plastic. They will mold that way! My dear, you make me want to gather up my bread-making skills to do that again. 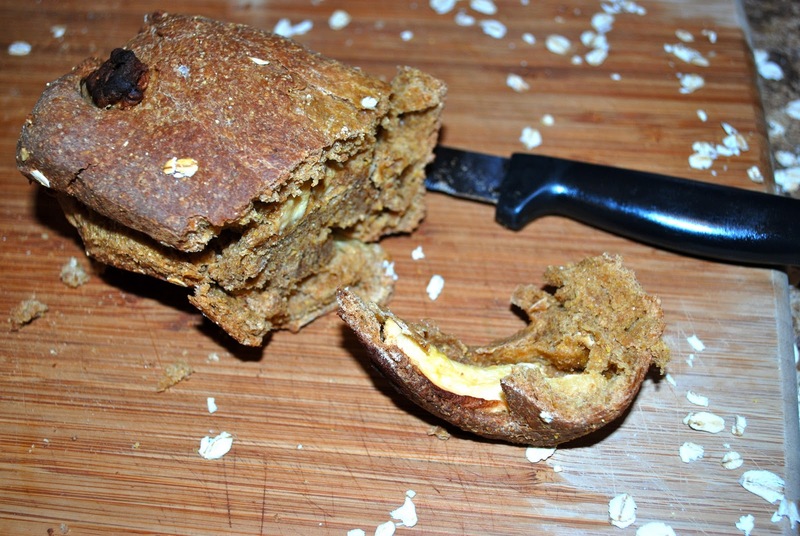 I made home-made bread for my family in the 50s and 60s, so many times! It was one of my favorite things to do. Hand home-made, it was. It is excellent therapy, too! The aromas all day long are 'to die for', as they say.